At the heart of the VIY model, young people are mentored by, and work alongside, professional tradespeople who share their skills. To date, more than 900 tradespeople have volunteered as VIY mentors, recruited locally according to each project’s needs, and all mentors are inducted, CRB-checked and briefed by VIY prior to commencing work, and fully-supported throughout their involvement. VIY also employs a core team of Lead Mentors (see below), based regionally, who play a key role in site-managing and delivering our projects on-the-ground, including supporting local Volunteer Mentors on site, and leading on all guided learning activities with young people. All of our Lead Mentors started out as Volunteer Mentors and have considerable experience across multiple VIY projects. 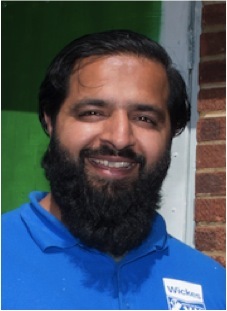 Zamir joined the VIY team in 2016, with a background in carpentry, plumbing and general building work, and an appetite to share his knowledge and experience with young people. 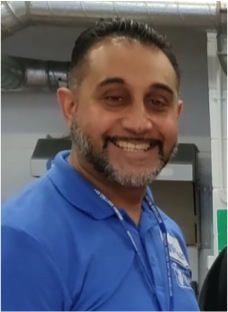 Although based in Birmingham, Zamir currently works across the West Midlands, East Midlands and Yorks & Humber regions principally delivering VIY workshops and projects with school and college students. 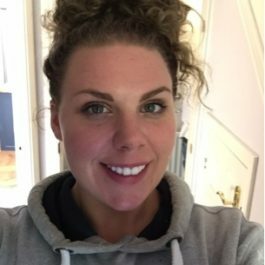 Ashley started with VIY as a local volunteer mentor at the Woking Youth Arts Centre project in 2016, and has gone on to help deliver and lead on many other projects across the South of England. He is a specialist carpenter and joiner but can turn his hand to most things, including painting and decorating and kitchen installations. 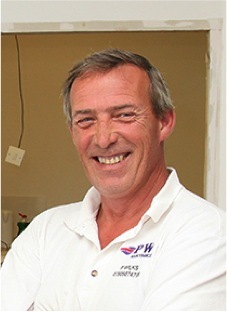 Kevin is a plasterer by trade, with 40 years experience. He knows first-hand that young people are not going into the building trade in the numbers required to solve Britain’s skills shortage and help address the lack of housing. So he decided to join VIY to pass on his skills to young people looking to improve their employment options and prospects. 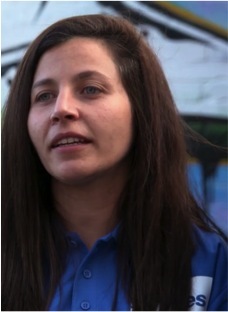 Natasha is a former British Gas engineer and founded Get Her Trade, the directory for tradeswomen. As well as promoting women currently working in trades, Get Her Trade offers opportunities and encouragement for other women interested in learning a trade – at a time when only 1% of tradespeople in the UK are female. So Natasha joined VIY to help attract more young women to pursuing training and career opportunities in trade skills. Alan joined the VIY team early in 2017, first as a local Volunteer Mentor and then becoming a Lead Mentor. 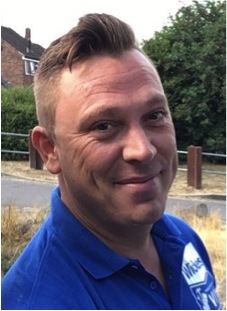 A talented carpenter and multi-skilled tradesman from East London, Alan has a passion for helping young people who are facing challenging circumstances, having passed through the care system himself as a young person. Bill first volunteered on VIY back in 2015. At the time he was semi-retired but enjoyed the experience so much that he now works pretty much full-time for VIY. 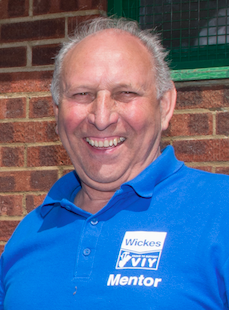 Bill has now mentored on 20+ VIY projects and is highly respected by all young people he has supported. He is a genuine multi-trader and can turn his hand to most things, from plumbing and carpentry to electrical work and painting and decorating. A talented multi-trader, Saj started as a volunteer mentor at VIY’s Hub project at Shard End Youth Centre in Birmingham, but has now started leading on projects, especially on our school and college programmes. As well as helping young people in the UK through his work with VIY, Saj also commits time to charity work overseas in Saudi Arabia. Matt has worked for almost ten years as a construction skills tutor in Pupil Referral Units and other schools for young people with special educational needs. He first joined VIY as a part-time Lead Mentor in 2018 and, whilst based in Hertfordshire, has since delivered VIY projects across South East England, especially working in schools and colleges with students at risk of exclusion or disengagement. 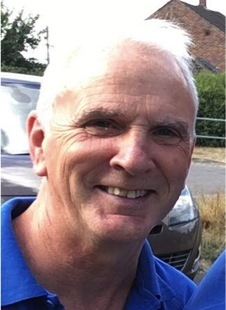 Paul first encountered VIY when we ran a project at Portico Vine Rugby League Club in St Helens in 2014 where Paul was involved as a coach and committee member. He was so impressed by the impact the project had on the club and the young people who took part that he began working for VIY on further projects across the North of England and is now full time in his Lead Mentor role. Imran, from Hall Green in Birmingham, is VIY’s most experienced Lead Mentor, having mentored on more than 50 projects. 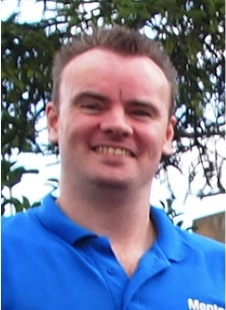 He has a wealth of trade experience and used to run his own plumbing and maintenance company. He has also been recognised several times for his work with young people through VIY, most recently receiving the Aston Villa Community Foundation ‘Most Valuable Community Player’ award in 2017. 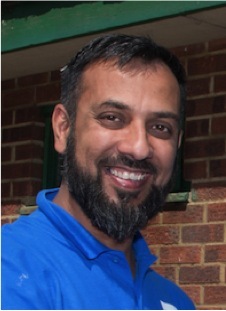 Imran lives in Birmingham and has many years experience as a self-employed tradesman. 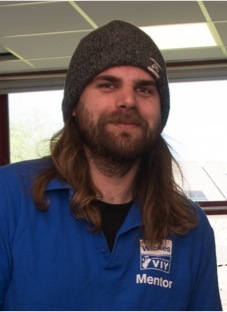 He first got involved with VIY in February 2013 after seeing an advert calling out for volunteer tradespeople in a Wickes store and on trade recommendation site Rated People. He initially agreed to volunteer for one day on a local project, but he quickly discovered he really enjoyed passing on his skills to young people. 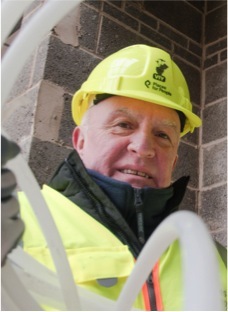 Since then he has been involved in more than 50 VIY projects across the West Midlands and elsewhere in the UK, personally helping over 1,000 young people gain a City & Guilds Entry Level qualification. 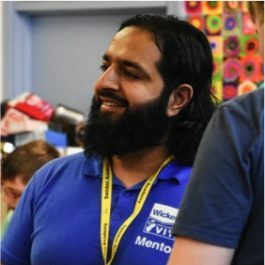 Imran is now a VIY Lead Mentor and, as well as mentoring young people on projects, he also helps set up and assess new VIY projects, and brief and train new mentors. He also undertakes outreach work in schools and colleges, delivering assembly talks and running classroom workshop sessions. “I’m a self employed painter and decorator from Southend, and I have so far mentored on a couple of local VIY projects and I can honestly say it’s been an eye-opener. 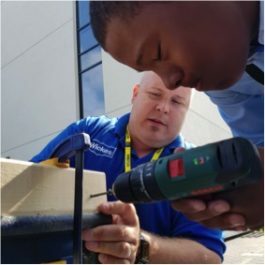 The young people really put the effort into the work and learning new skills, and often spoke about how optimistic they were about their futures now that they’re learning a trade. Some even discussed their ambition to embark on a painting and decorating career as a self-employed tradesperson and it became clear to me that this project not only gives young people a trade but also builds confidence and gives them a passion for their next steps in life. 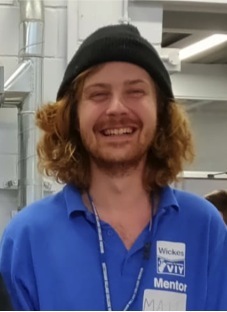 “I’m the Operations Manager at the Wickes store in Perry Barr, Birmingham, and I first mentored with VIY on a carpentry workshop project at Eden School. I think VIY is a fantastic project that helps young people to gain new practical skills. Being a parent myself, it’s also good to see schools trying new ways to encourage young people to learn vocational skills that can open up job and career opportunities they hadn’t previously considered. I only wish I’d had the opportunity myself to take part in a VIY project when I was at school many years ago!